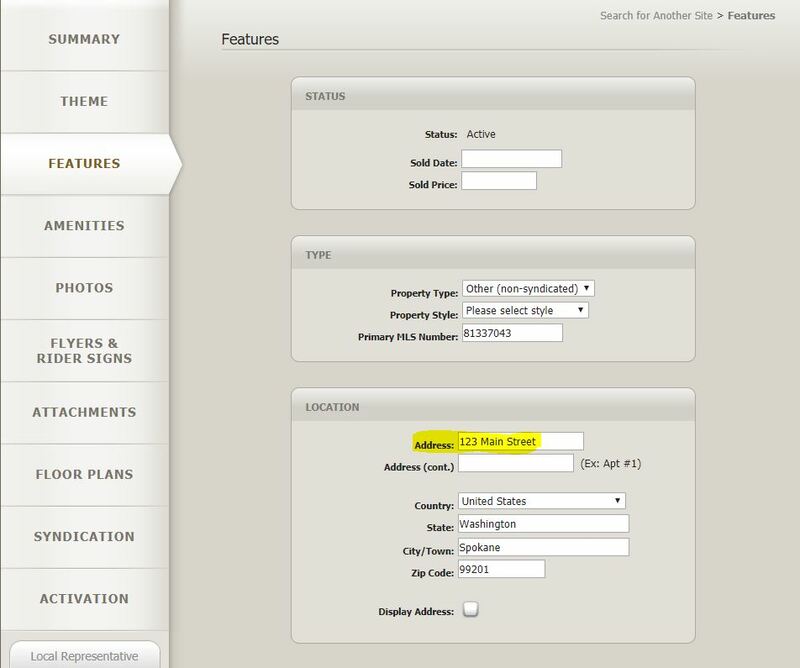 Scroll to the “Location” section of the features tab and type in the correct property address. You will only be able to change the property address within 30 days of the property website being created. After that, please contact customer service at 888-458-3943.